Day three of NBNO concluded Sunday with two national championships coming back to Florida. Tyrese Cooper opted out of the 200m final to claim his third straight 400m crown, while Tamari Davis nearly missed her second meet record of the day winning the 200m in 22.98s. We take a look at the best of the rest which also included several All-American honors for Sunshine State athletes. Jatana Folston was the highest placing of the All-American athletes not to win a championship. The 2A state champion ran a new personal best of 53.04s to finish third. 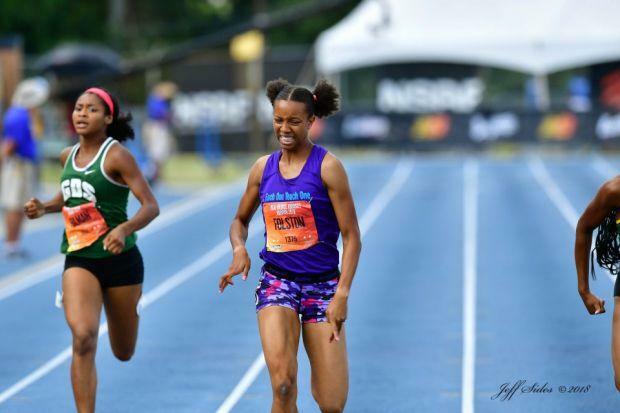 Her time moves her to FL#2 behind Jan'Taijah Ford and US#10 for the 2018 season. 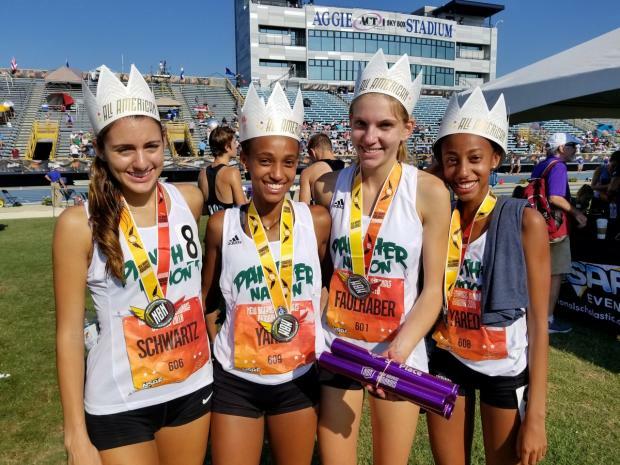 The Pine Crest girls earned All-American honors in the 4xMile Relay Championship finishing 5th in 20:53.84. In other relay action the St. Thomas Aquinas girls were 6th in the 4x100m relay with Miami Killian placing 8th with times of 46.71 and 46.76 respectively. Zatoria Thompson was part of that Raider relay squad and also earned individual All-American honors in the high jump. The 4A state champion finished in a tie for fifth with a clearance of 5'08.75". Fort Myers junior and 3A discus state champion Jacob Lemmon notched his 12th throw of the year over 55 meters, 55.38 to be exact or 181'08" to finish 6th and earn All-American honors at his first ever NBNO. Caroline Johnston, the 2A runner-up in the long jump placed 11th in the championship edition of the event with a leap of 18'08.75". The girls 400m hurdles championship featured Auburndale Cathrina Morris, the 3A state runner-up in the 300mH and Southridge's Rayniah Jones who was the 4A state champion in the 300m hurdles. Morris finished 13th in 1:02.40 while Jones was 15th in 1:03.02. One of the top jumpers in the state, Tony Bridges of Pine Crest finished 14th at nationals with a mark of 22'05". He is headed to Cornell University this fall. Estero junior Hugh Brittenham was 16th in the mile with a time of 4:26.20. Brittenham was the 3A state runner-up in the 1,600m.